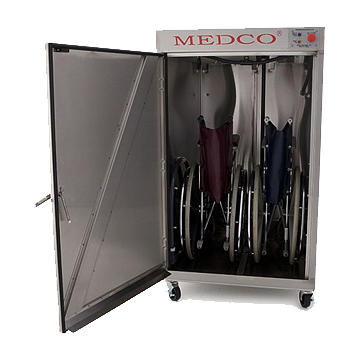 WELCOME TO MEDCO EQUIPMENT, INC.
DO YOU NEED A WHEELCHAIR WASHER? 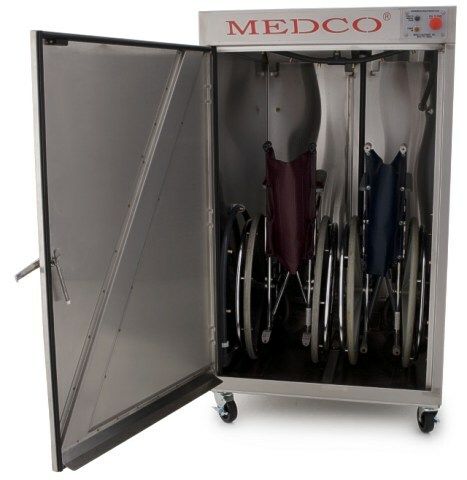 Medco Equipment® is the nation’s premier wheelchair washer manufacturer. 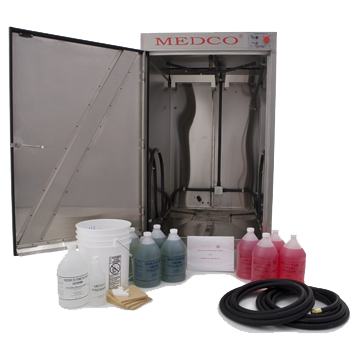 The new Medco Model 64X (extra tall) will sanitize “all of your equipment”. 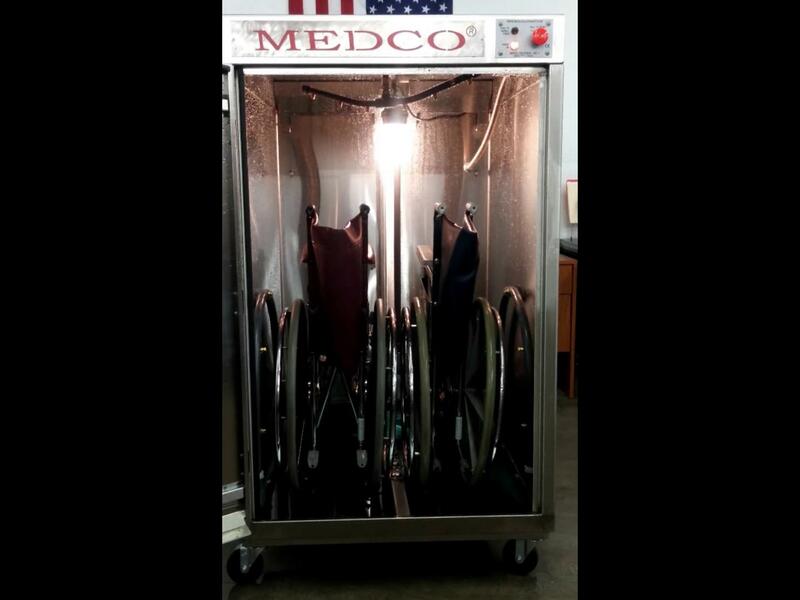 Medco Equipment® is the nation’s premier wheelchair washer manufacturer. The pioneer in the industry since 1994 and leader in safety innovation. 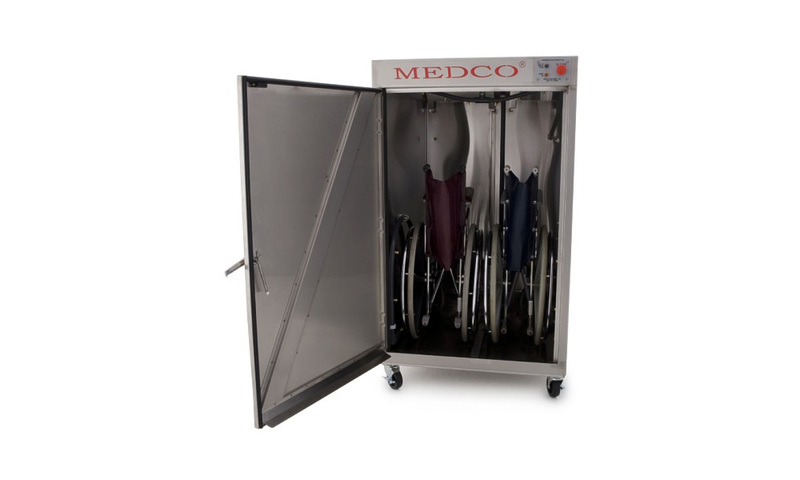 Medco® Wheelchair Washers are in use in over 2,000 facilities and are the safest washers available. 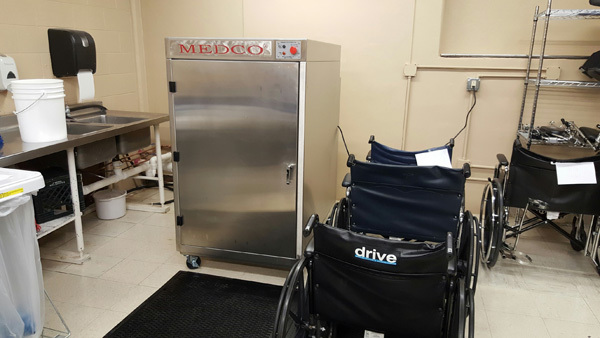 Our Wheelchair Washers use standard 110V hookups and are lightweight enough to be moved easily yet heavy enough to be durable. Pricing options include; $195.00 month-to-month rental (*same price since 1994! ), lease to purchase or a one-time purchase option - call for more details! 5 Minutes per cycle, 300 washes per gallon of chemicals. 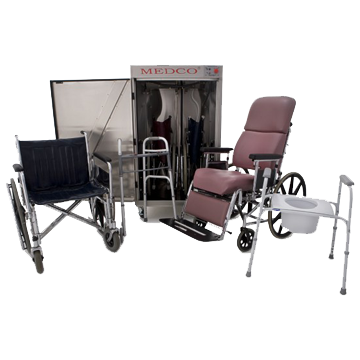 Washes two wheelchairs at a time, commode chairs, shower chairs, walkers, carts and more. 7 day delivery. 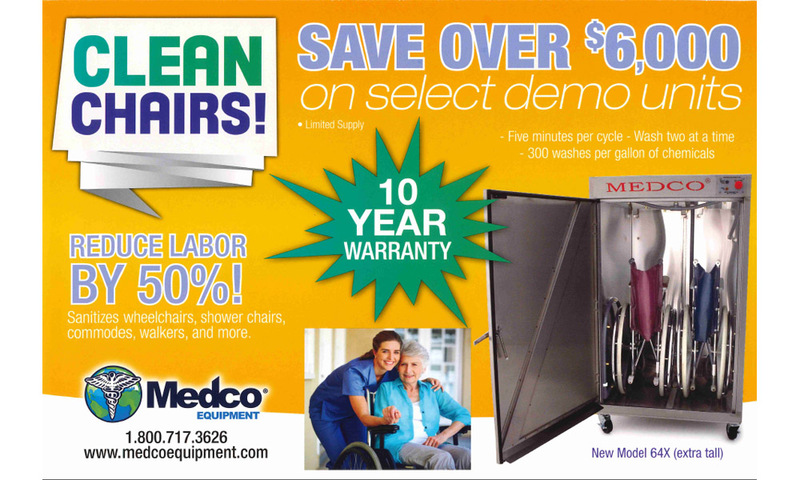 Wheechair and DME Washer in One! 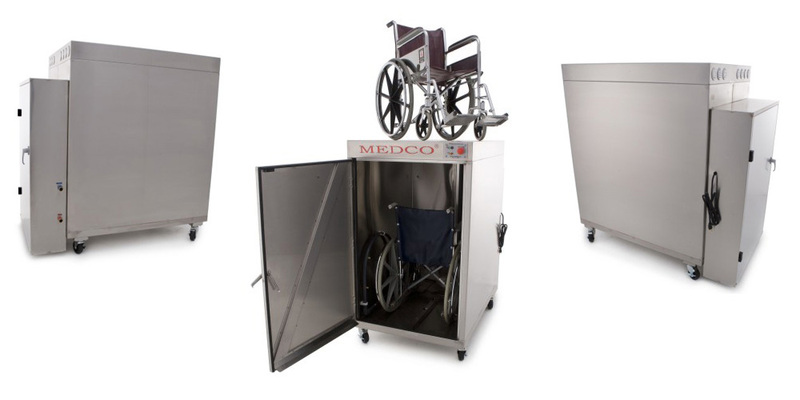 The new Medco Model 64X (extra tall) is designed to wash two wheelchairs at a time. Spray jets are located on the left side, the floor, the right side and a massive spin arm on the ceiling give “4 directional spray thrust”. Do your dishes in your dishwasher get clean? Of course they do - your dishwasher has only one spray arm - the Medco washer has Four times that! 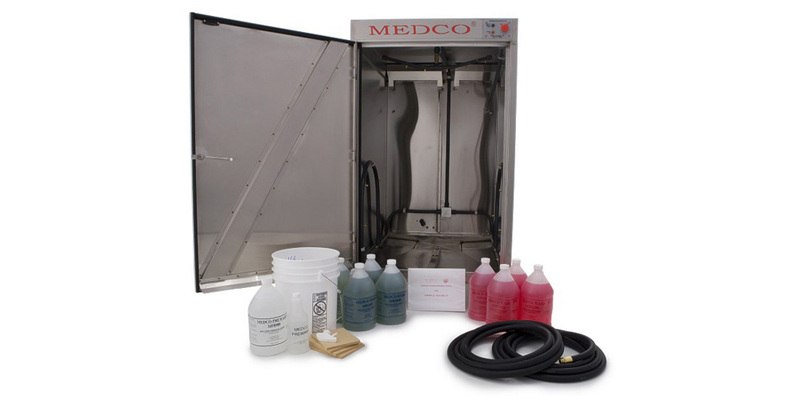 Medco® and Medco Equipment© are trademarks of Medco Equipment, Inc. ©Copyright 2019. All Rights Reserved.